Have you noticed that several corporations today have no loyalty to the country from which they started? Several corporations nowadays are global brands and their first objective is to generate profits for the shareholders (or owners) that they serve. Think about it - McDonalds, Siemens, GE, Sony, Microsoft, Catepillar, BP, Exxon, ADM, etc. All of these listed corporations and several others do not wave a particular flag for its countrymen's sake, but for profit's sake. Corporations today are looking for the best labor markets to take advantage of (hence, manufacturing jobs in America being moved to China, Brazil, Mexico, etc). They're looking for the best tax advantages that will allow the best return on their investment. If one country enters a period of war, has a riot, or becomes politically unstable, a corporation can easily say goodbye and look for new fertile ground to plant seeds in. So, why not be like a corporation yourself? Why not globalize your money? Don't just keep your money in US dollars! You'll have more flexibility if you have some investments in Euros (assuming it doesn't all go away), Real, Yen, and my absolute favorite - Gold and Silver. Imagine the turmoil some individuals must have if all of their investments were in Euros? The negative affect caused by extreme austerity measures being forced on the citizens of Greece and other surrounding countries must be very painful and causing serious psychological damages as well. What would you do if you woke up one day and realize that the 401K you've been saving up was all of a sudden worth 50% less than what you had? And you were 60yrs old?! You'd probably riot too...all hope would be lost. Look at our colleges here in America - students are having protests all over in response to tuition hikes. This "Occupy Wall Street" thing is still going on as well in some form or fashion. Take some time and look at what's going on. Things are changing. It doesn't make sense to me how the media, our place of employment, and our government tell us that we should invest in a 401K given all of the inherent scams that causes these "retirement plans" to lose so much money. It infuriates me how Goldman Sachs, JP Morgan, private investors, and other institutions can bribe Moody's, Standard and Poors, to give an excellent rating on a stock or security, trick us investors into thinking that we're investing in something credible, then pull the rug from under us. This causes us to lose significant wealth - which is what happened to several "soon-to-be retirees" in 2007 and 2008....now these individuals are forced to find a minimum wage job flipping burgers or greeting customers at Wal-Mart. You think they want to be there? Or do you think that 70yr old grandma would rather be at home watching re-runs of Matlock and living out her the rest of her life in peace? The odds are against us - but it is up to us to beat them at their own game. It is possible. 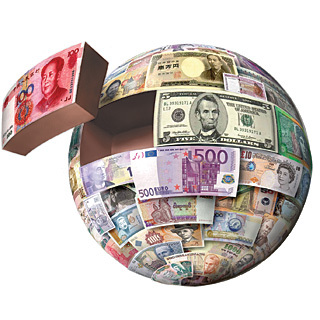 Globalize your money into several worldwide investments and hard assets. Take control of your investments (or pay someone to do it) and learn how to use leverage in order to generate a larger return. Leverage is a tool, and can be used to help generate huge profits for us- it can also harm our portfolio, so take calculated risks. Be creative and search for extra income opportunities. Learn new investing techniques by using free resources like YouTube, OptionsXpress, Investopedia and other web-based programs. There is a lot of opportunity in America and other countries abroad - take advantage of it. What do you have to lose? What are you afraid of?